Bellator 174 takes place at the WinStar World Casino and Resort in Thackerville, Oklahoma. Watch today’s weigh-ins here at 6pm EST / 5pm CST. 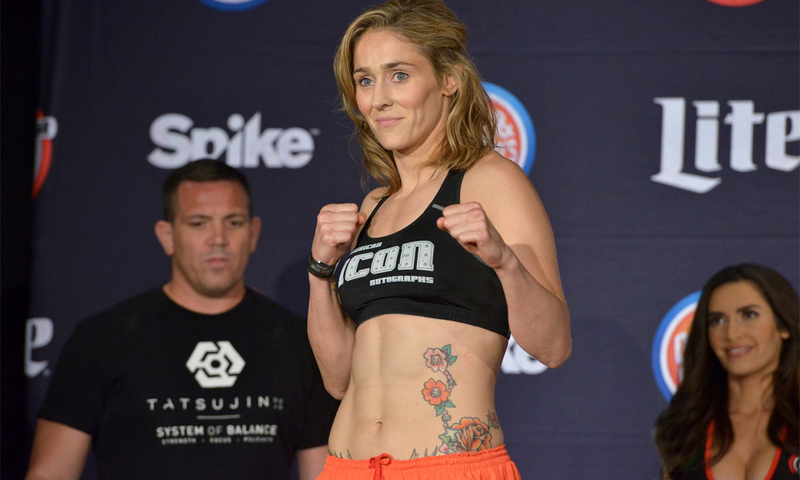 In the main event, Marloes Coenen takes on Julia Budd for the inaugural Bellator women’s featherweight title. The catchweight bout between Kendall Grove (23-16) and Mike Rhodes (10-4), as well as the bantamweight contest between Joe Taimanglo (23-7-1) and Steve Garcia (7-1 MMA), were removed from the card after Rhodes and Taimanglo missed weight for their respective contests this morning.